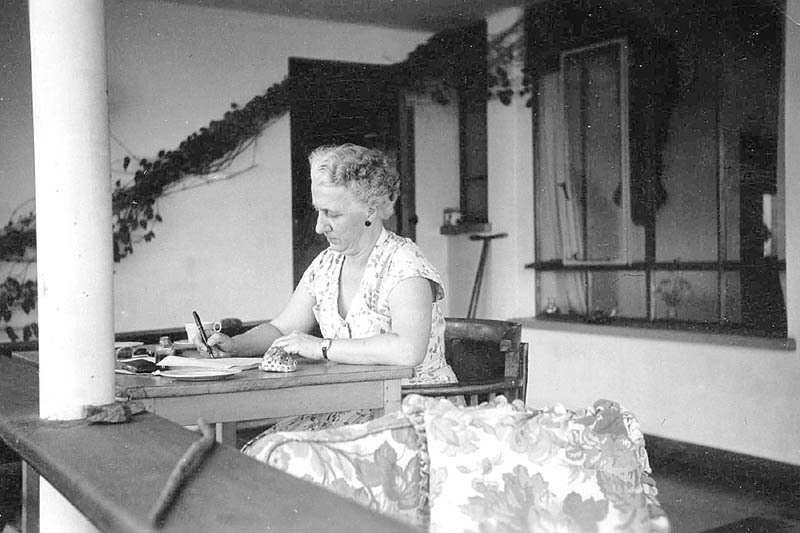 My mother writing letters on the veranda of the "new" house in Kampala. My father was never a good correspondent, so it fell to my mother to do all the letter writing to stay in contact with family and friends in Europe. The veranda was where we lived - outside the house - in the afternoons and evenings to stay cool.